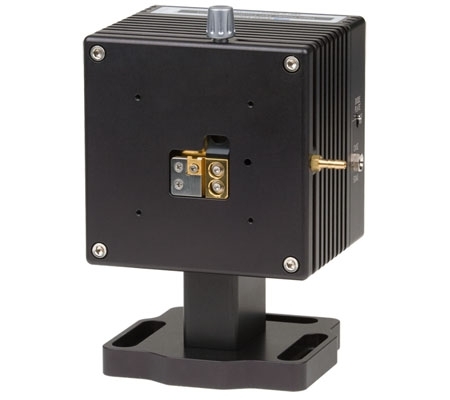 These Butterfly LaserMounts provide an excellent solution to thermal management and electrical connections of butterfly laser modules. With both active and passive temperature control options, you can pick the diode package mount that best fits your application needs. The 203/205 adds valuable options for fiber management, fan (for high power lasers) and a cover (for improved thermal stability). See the 203 or 205 for additional information. 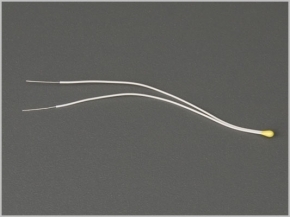 The Butterfly laser diode mounts support both 14-pin butterflies as well as packages with 7-pins on one side and an SMA/RF connector on the other. 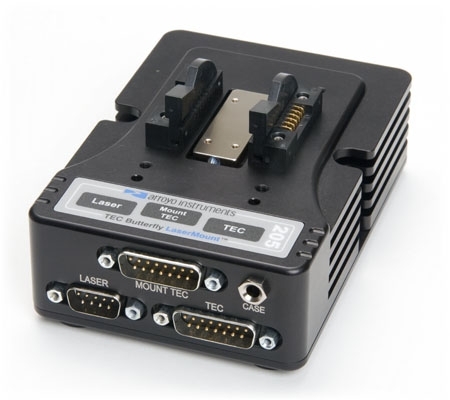 Loading of the device is made simple with zero insertion force sockets, and configuring the diode package mount to the pin-out of your laser diode device is done with a solderless terminal strip. Each Butterfly laser diode mount makes their laser driver and temperature controller connections through a DB-9 LDD and one (or two for TEC controlled versions) DB-15 TEC connector(s) on the back of the mount. This allows for quick connections to any Arroyo Instruments controllers.